We talk about the most popular art movements from the 20th century that have helped shape how we view art, design, and, of course, beauty. The Pop art movement started in Great Britain during the 1950s, whose aesthetic involves isolating the subject, or combining it with other elements for contemplation. 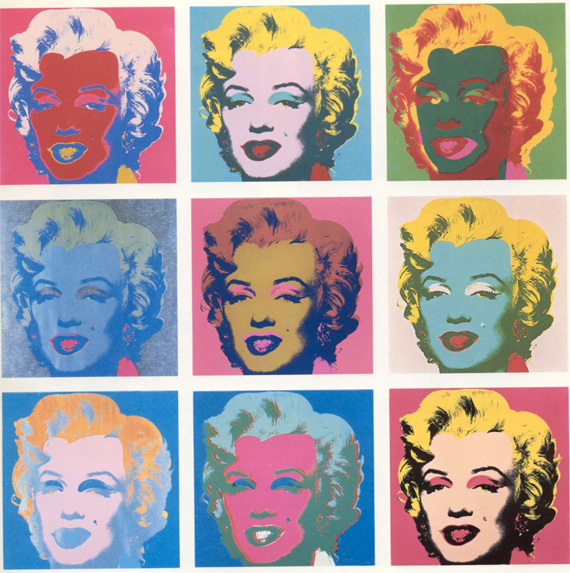 Pop art is most known for how it is approached rather than the aesthetic concept behind it, but in simple terms, Pop art makes use of mass-produced items for popular culture but from a fine art perspective. Pop art got its influences from Dadaism and Abstract Expressionism. Pop art makes use of kitschy, everyday objects instead of using lofty subjects found in classical fine art. The art movement started after the end of the World War II, and coincided with the baby boomer generation. Pop art is influenced by popular culture (particularly American popular culture), such as advertising, comic books and everyday objects. For example, a very popular work by Andy Warhol makes use of a can of Campbell’s Soup. After the war, people had realized how short and fragile life really was. People wanted to enjoy life, so they indulged themselves and wanted more things. Society in general became more materialistic, and that influenced their art. People began to see life less seriously, so humor is now often present in their art. Thanks to technology, pop art in the 50s had a new medium to play with: silkscreen. Artists now had new art and rendering techniques. Another plus is that they also now had the means to accurately reproduce their work. Of course, one of the most popular artists of the pop art movement is Andy Warhol. He tried taking Pop Art to another level, from a mere art movement to a lifestyle. Other noted artists of the movement include Tom Wesselman and Roy Lichtenstein. An Idea’s web site is colorful, modern and pop art-inspired, making use of common elements of love: hearts, Cupid’s wings, bow and arrow, x’s and o’s, and more. His site and works are inspired by the Pop Art movement and Graffiti Art. 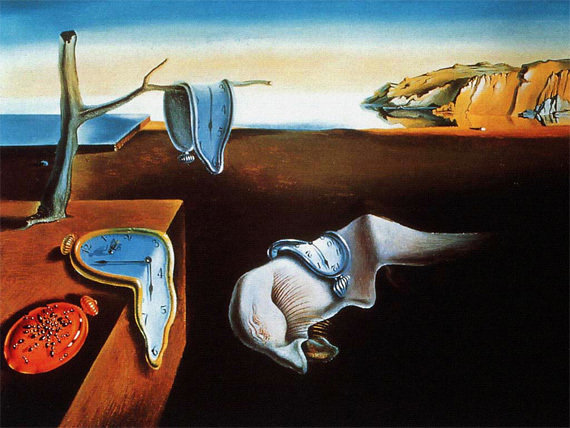 The Surrealist art movement was developed during the early 20th century, it is a form of visual art that grew after the early Dadaism movement. It was an art movement that flourished between WWI and WWII. It grew after the horrors of the war and the culmination of the Industrial Revolution. Surrealism, aesthetically, is art destroying rationalism, but emphasized more on positive expression. Surrealism is a means of combining the conscious and unconscious realms of human experience, the dreams and fantasy found in reality, creating a totally surreal experience. To most artists, they see Surrealism as a philosophical movement first, and the use of art as a tool or artifact. The Surrealist art movement draws most of its philosophy and theories from Sigmund Freud, on the belief that the unconscious, holds the key to the social problems of the real world. The Surrealism art movement often featured an element of surprise and random juxtapositions of unexpected objects. The art movement brought together great thinkers, philosophers and artists in search for the expression of the unconscious. Of course, this art movement is the predecessor of the hallucination-inspired Psychedelic art movement. The most notable artists in the Surrealism art movement are Max Ernst, among the founding pioneers of the Surrealist art movement; and the most well-known Surrealist painter of all time, Salvador Dali. Agote’s website is a dreamy landscape with creamy textures and beautiful colors. De Stijl is Dutch for ‘The Style’. The art movement is also called Neoplasticism, which was founded in the Netherlands in 1917. Theo van Doesburg published ‘De Stijl’, a journal that propagated all the art movement’s theories. Along with van Doesburg, other principal members of the group include Piet Mondrian, Bart van der Leck and Vilmos Huszar. The main objective of De Stijl movement is to create a utopian ideal of harmony and order. For this, they used pure abstraction for their art, reducing their work to the most essential form and color. Because of this, De Stijl artists only used horizontal and vertical lines, square and rectangle shapes, plus the most basic colors black, white and primary colors red, yellow and blue. The art movement is strictly grid based. De Stijl art movement is a very different art form of its time, and its influences encompasses everything from the canvas to architecture, furniture to even fashion. De Stijl art later paved way to Germany’s Bauhaus art movement. Pixel Slave takes on De Stijl’s grid based design but incorporates a modern take to it; by adding fresh colors and new shapes to their web design. Another great website that creatively uses De Stijl grid based system, plus utilizing greyscale colors and bright yellow only. The Minimalist art movement, also referred to as ABC art or literalist art; is characterized by extreme simplicity, removing all unnecessary elements and approaching art in the most literal and objective way. The art movement started in NYC, United States during the 1960s. Minimalism is all about reduction and simplicity. The idea of the movement started when artist Kasimir Malevich created a 1913 artwork of a black square on a white background. The art movement is characterized by simplified, geometric forms on a flat surface. They are often two-dimensional, with precise shapes and lines. They are objective, non-expressive and non-referential. Minimalism and pop art are actually considered to be the art movements that preceded post-modern art. Omnia shows you us how to do Minimalist web design the right way. You don’t need a lot of color, elements, or text to keep your web visitors intrigued and interested. Fellswoop’s website is clean and simple. The message is strong: they provide clarity, strategy and design to improve user experience.